I love a dress that makes me feel like a lady in the summer. This delicate and pretty dress is deemed such because of its a-line cut, tailor fit and the cute bow that creates an elegant back to this dress. Paired with bold stripes and a floral print bow, this type of ensemble will make you feel swept away by the sun. 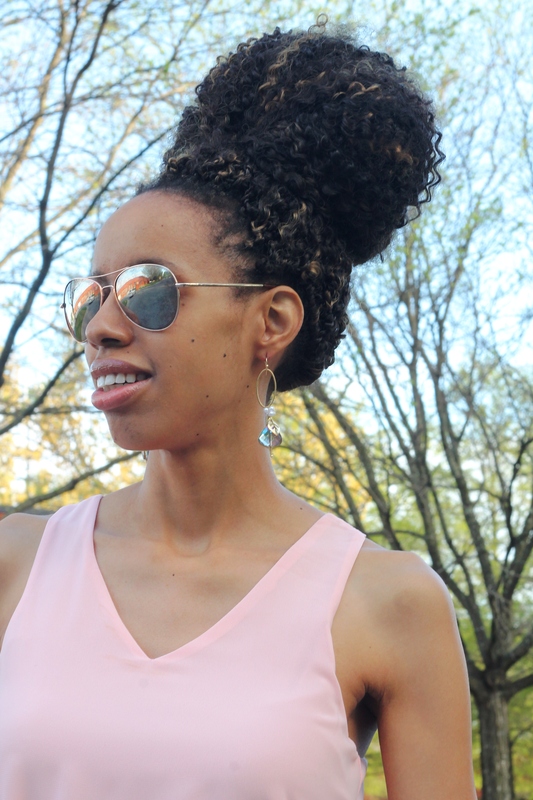 Dress & Sunnies: Francesca’s | Get a similar one here and here. Purse & Shoes: ShoeDazzle | Get a similar pair here. Your wardrobe will flourish this summer with floral pieces! From floral headbands, to tops, to skirts and floral shoes and purses, you are bound to bloom with this in your closet! 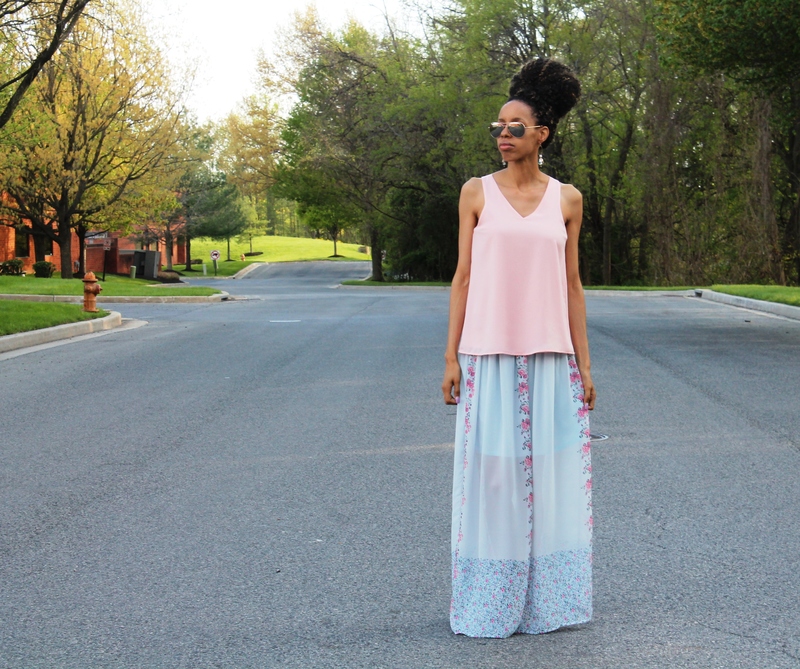 I paired a floral maxi skirt with a feminine top for a classy, graceful look! Dress, Earrings & Sunnies: Francesca’s | Get the skirt here and similar earrings here and sunnies here. A flamboyant lady is one tending to attract attention because of her exuberance, confidence, and stylishness. Finding an ornate piece of jewelry to add to an already jazzy ensemble can make you the talk of the day! Shine this summer with an intricate piece. Top, Pants, Necklace & Sunnies: Francesca’s | Get similar palazzo pants here, similar top here, similar necklace here and sunnies here. Purse: Aldo | Get a similar clutch here. Shoes: ShoeDazzle | Get a similar pair here. 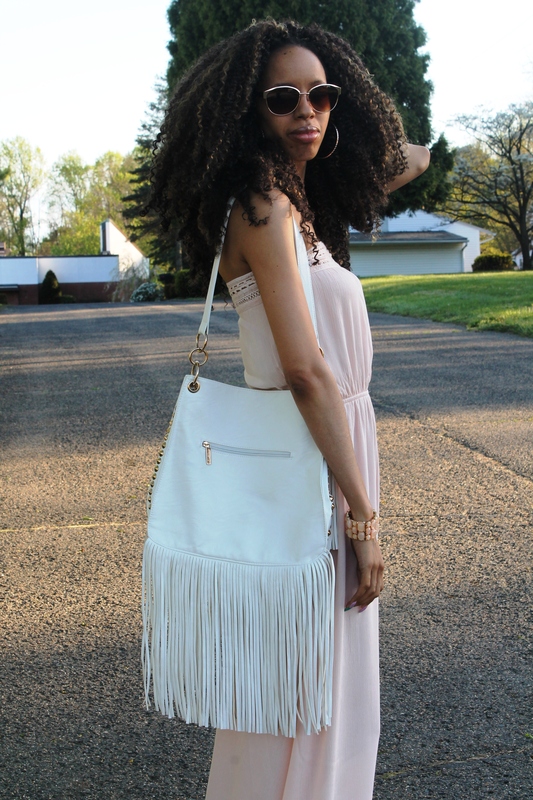 Since the ’70s look are back in style, that means fringe is back in a big way too. But fringe isn’t all suede and saddlebags. Whether you wear a fringe top, purse or funky, fringed shoes, you are bound to make a statement with this bold look. Here, I have paired a strapless, feminine dress with a leather fringe purse. 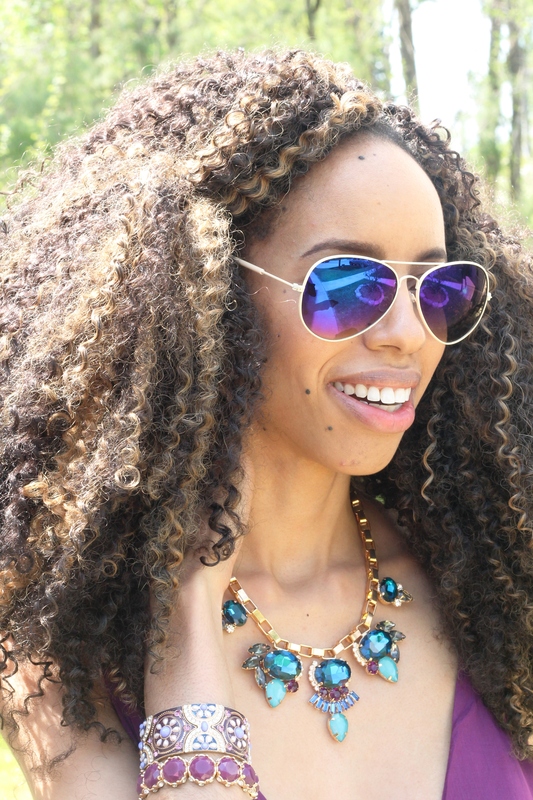 Dress & Sunnies: Francesca’s | Get similar dress here and sunnies here. Purse: Thrifted| Get a similar purse here. The breeze is gently blowing and so is your dress–a picturesque moment! Enjoy this moment throughout the summer with flowing, maxi dresses and skirts! This Francesca’s dress and others similar to this will make you feel like the queen you are! Dress, Bracelets, Necklace & Sunnies: Francesca’s | Get similar dress here, similar bracelet here, similar necklace here and sunnies here. Thank you so much! I love all maxi dresses and skirts, lol. They make me feel like a queen. 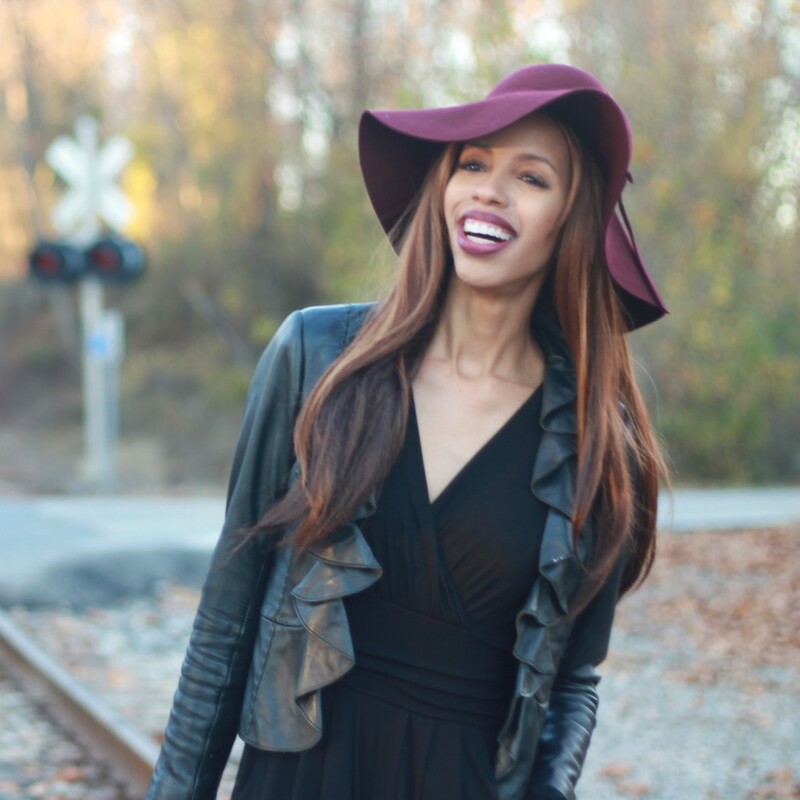 This entry was posted on May 3, 2015 by LaQuisha Hall in Brand Ambassador, Casual Wear, Dresses, Fashion Education, Francesca's, Jazzy Jewelry & Accessories, Natural Hair Flair, OOTD, Shoe Spotlight and tagged fashion, Francescas, hair, natural hair, ShoeDazzle, spring, style, summer.